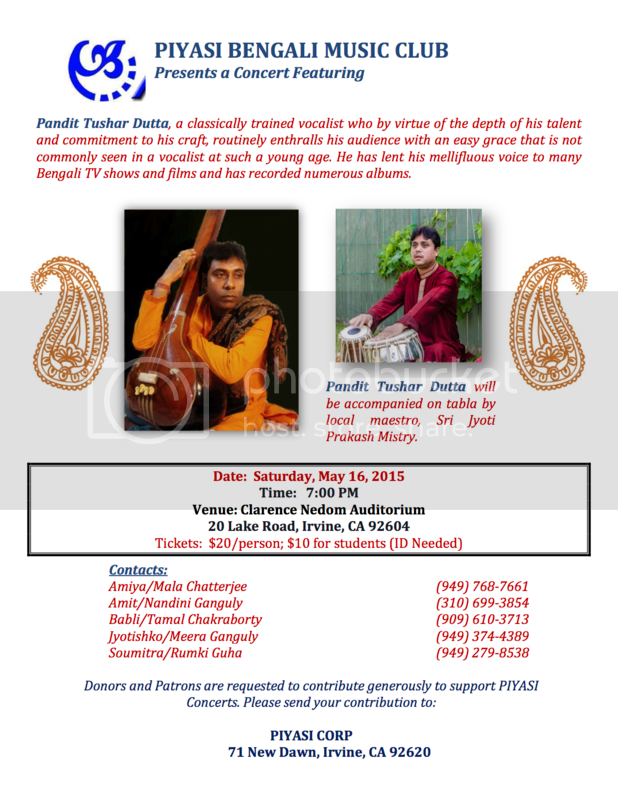 We are forwarding you an invitation to Piyasi Bengali Music Club's upcoming music concert on May 16 featuring Pandit Tushar Dutta and Sri Jyotiprakas. We whole heartedly support this event. Please see flyer below for more details.